Why should I consider using professional resume writing services? Regardless of your location or industry, if you are looking for a job, you are probably in a competitive job market. 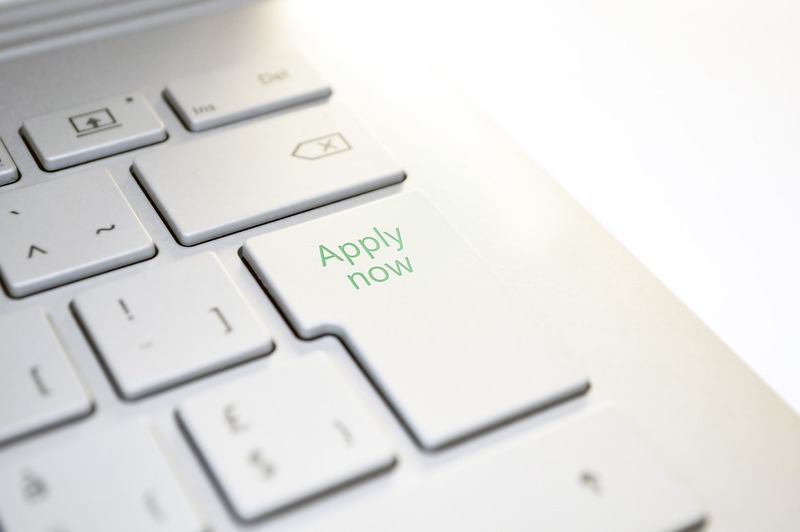 There may be hundreds of applicants applying for the same job as you. It can be hard to stand out when there is so much competition. Which resume format (chronological, functional/skill-based or a combination) is appropriate? Which document format is acceptable? The answers to these questions depend on your individual situation, and we will apply what we have learned from helping over 120 applicants since July 2016 in many different fields secure new job opportunities. Our standard resume package for professional resume services/resume editing services includes a 60-90 minute consultation, “master” document in Microsoft Word format and two revisions for specific job opportunities. We will also provide coaching during the consultation about how to handle situations in an interview (e.g. addressing a large employment gap on your resume). What do Employers and Recruiters Want to See on a Resume? While the type of information you need to have on your resume does vary some from industry to industry, employers and hiring managers are more likely to be impressed by quantifiable accomplishments than simply stating your work experience, education and skills. For example, a resume for an experienced accounting professional will look much different than a resume for a new graduate pursuing a career in graphic design. We will work with you to learn about what makes you who you are in addition to what you have accomplished. How do we do this? We will get to know you, listen to what you have to say and make your consultation as comfortable as possible. Depending on your location and availability, we will meet with you via Skype, FaceTime, telephone or in-person. Using tools from the Narrative Assessment Certification, an approach to make clients comfortable sharing stories and information with us, we develop an understanding of our client’s unique skills, talents and gifts, and convey this information on your resume. We are pleased to support clients with professional resume services to assist them with finding new employment opportunities across Canada and the United States. How do I Write a Resume if I am Switching Careers? If you have made the decision to pursue another type of career after working in another industry for several years, it can be hard to know how to communicate the value of your skills and experiences in a way that will resonate with an employer in a different industry. We can help you convey your transferable skills and accomplishments to make it clear to an employer why you would be an excellent candidate, and how your experiences and skills will benefit their organization. What Should I Include on my Resume I am a New Graduate with Very Little Work Experience? Were you on clubs or sports teams in high school, college or university? Did you volunteer in your community? Did you win any awards or scholarships? Do you have letters of recommendation from internships, co-operative education placements, professors or teachers? All of this information will help you tell employers and hiring managers why you would be a fantastic addition to their organization; we can help you communicate your unique value on your resume. Do I Need a Cover Letter to Apply for a Job? In most cases, yes, a well-written cover letter customized to the job posting will add value to a job application. It gives you a chance to tell (and sell) an employer why you’re an ideal candidate, and show off your communication skills. However, a poorly constructed cover letter with spelling or grammatical errors can hurt your chances of an interview, even if you have an impressive resume. If you are applying for a job through an online platform, and there is no place to include a cover letter, it is completely acceptable not to include one with your resume. Our standard cover letters include a “master” document in Microsoft Word format and two revisions for specific job opportunities. 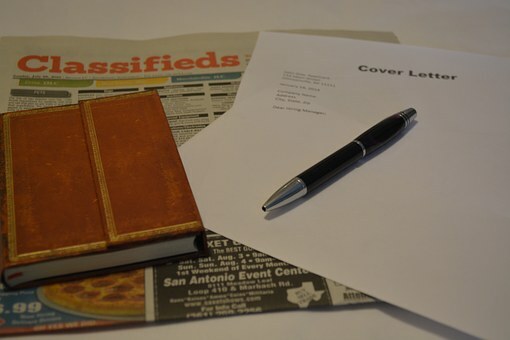 A cover letter may include a 60-90 minute consultation if purchased with a resume package or other service. Do you Offer Mock Interviews to Prepare for a Job Interview? Yes, we know how daunting it can be to prepare for an interview, especially if it’s your first interview after graduation or you haven’t had an interview in many years. Many of our clients came to us asking for this service when we started serving clients in 2016; we responded by conducting research and training our team with the tools they need to help our clients. Using communication techniques and best practices from recruiters, employers and hiring managers, such as the STAR technique, we will meet with clients, in-person or virtually, to help them feel more confident and ready for an interview. We will teach you how to prepare adequately, provide questions that you may be asked during an interview, as well as techniques to structure your answers, stay calm under pressure and leave a positive impression on an employer. We will also review or help you write a follow up communication thanking your interviewer for meeting with you promptly after your interview. Do you have a few more questions before you’re ready to work with a professional resume writer? Find more answers to your questions (along with some resume writing tips) here. Can you guess the number one reason our clients come to us for professional resume writing services? They are not sure how write a resume that will help them meet their career goals. Over and over again, we hear this reason (or a similar version of it) from our clients. We understand that writing a resume in a competitive job market can be stressful and challenging, especially if you are doing it on your own to meet a tight deadline. Since 2016, we have worked with clients in over 40 different industries in Canada and the United States. On an annual basis, over 125 of our clients are granted interviews with many of them securing employment offers. We would love to be a part of your success! How can I write a resume that will get noticed? Ask a few people that you know and trust with strong editing skills to review your draft. If you’re facing a tight deadline and need to edit your own work, print your draft. It is much harder to detect errors on a screen as opposed to reading a hard copy. Read your draft once, circle your changes and walk away. Come back with fresh eyes to review it again, and you will likely find more errors. Correct them, print (and review) your document one final time to be triple sure that your resume is error-free. While we have not addressed how to get noticed yet, submitting an error-free resume that is easy to read are good first steps to help you meet your goal of getting a call for an interview. The best advice that applies to applicants in many fields and industries is to tailor your resume to the job description. A “one size fits all” resume will garner less attention than one that (ethically and honestly) portrays your qualifications, skills and experiences in a way that is aligned with the job opportunity. For example, if the employment posting states that the successful candidate should have five years of leadership experience in a certain industry, state this clearly on the first page of your resume. Be sure to read the posting line by line and match it up with your qualifications, skills and experiences to ensure that you are highlighting what you have to offer in a way that is relevant to the job posting. Have you read these tips but still feel like you need some guidance? We are here to help! We know how hard it is to write about yourself objectively, especially with the added pressure of trying to secure an interview for a job opportunity you really want. How do professional resume services work? Once we know your timeline and the level of support you require, we will work with you to write a resume that will help you present yourself positively, professionally and accurately when you apply for job opportunities. Most of our clients come to us for a resume and a cover letter, but we have assisted several clients exclusively with resumes. Cover letters are a great way to show off your written communication skills, and it’s important that your resume and cover letter sound like they were written be the same person. During our initial discovery call, we will find out why you are interested in our resume writing services, the employment opportunity (or opportunities) you’re targeting and determine a timeline to complete a draft as well as offer a quotation for our services. Costs for resume writing services range from $150-$250 depending on the complexity of the document and the client’s deadline; a discounted rate may apply if multiple services are purchased. During our 60-90 minute consultation (in-person, Skype, FaceTime or telephone) we will ask you several questions to have a better understanding of your professional history, skills and why you’re interested in this field or specific position. We want to find out about what makes you great at what you do; we will use this information to make your resume stand out in a competitive environment. Many clients tell us at the end of a consultation that they didn’t realize how much they had accomplished in their careers! If we do not cover something important during our consultation, you will be encouraged to contact us to tell us more information. Many clients reach out after the consultation because they often think of more information we should know after we finish the consultation. The more we know about your professional journey, the better! Next, we will deliver a clearly written draft, and provide detailed instructions about how to apply to the position you are targeting. We will revise the draft resume, and ensure we help you meet your application deadline. We want every client who works with us to be satisfied with the final version of their resume. We invite suggestions and edits to our initial draft by Skype or telephone. For local clients, we will meet with them in-person to discuss the draft resume. Some employment postings have specific application requirements. For example, they may state in the employment posting that applicants need to follow a specific file naming convention when submitting your documents (e.g. first initial_last name_competition number). We can send your resume to you with this file name to help you meet this requirement. We are accustomed to the pressure of tight deadlines, and our knowledge and expertise can remove a great deal of the stress associated with submitting an employment application. Would you like your resume to give you a competitive advantage? Call us to get started today.